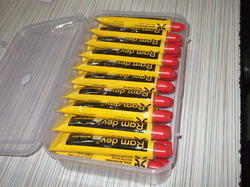 We are one of the leading manufacturers and exporters of a wide range of marker pens. The range finds applications in various areas like textile processors, spinning and twisting and weaving units due to its quality. With the motto of serving the best quality products, we are engaged in manufacturing, exporting and supplying an excellent quality array of Textile Red Marker. The offered marker is manufactured using high grade basic materials with the aid of latest techniques under the strict vigilance of our adept professionals. 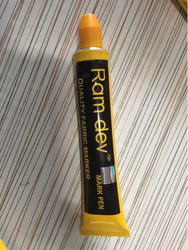 This marker is used for permanent marking in fabrics in textile industry and dye houses. Further, the provided Textile Red Marker is furnished to our patronâ€™s at rock bottom prices. We offer a unique range of Parcels Marker Pen and for identification of parcels and cartoons, these pens are widely used in various industries. Our professionals use finest quality raw materials and advanced machines in manufacturing these pens in compliance with the set industry standards. In line with clients' variegated requirements, we offer Permanent Marker Pens in various sizes and designs to choose from. 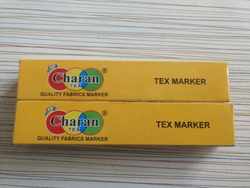 We commit critical time in Exporting, Manufacturing, Distributing, Supplying and Trading a variety of Fabric Marker Pen in Surat, Gujarat, India that are including among clients. These collection are created making utilization of best review crude materials and advanced innovation to make certain its since a long time ago acknowledged exercises and sturdiness. 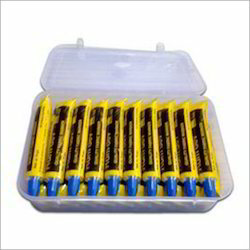 We offer these broadly requested Fabric Marker Pen at business sector alluring advancing value ranges. 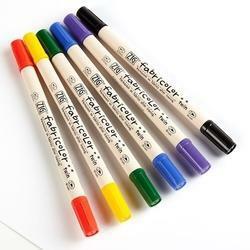 We offer optimum quality Textile Marker that are made using finest raw material. The range is acknowledged in the market for its economical nature and high performance. These markers are manufactured using advance instruments and application development facilities, which further help us meet the requirement of clients in an effective manner. We offer a unique range of Textile Fabric Markers and we design & manufacture these Textile Fabric Markers in various colors, designs and sizes. Also, our quality controllers perform a series of tests on the entire range ensuring its superlative quality. Deval Enterprises products are manufactured from the highest quality material with the high-end & latest machinery & equipments.The entire process is mechanized and we have integrated Global Manufacuting Concept and International Quality Standards for all our products. We even guarantee our marker for life time and there is free replacement. We are pleased to introduce Deval Enterprises as one of India's leading manufacturers & exporters of international quality mark pens known as Ramdev Mark Pen & Sony Mark Pen based in surat, gujarat, india. 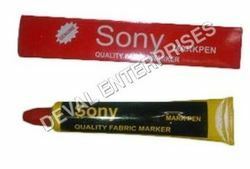 We are established in 1999 and started manufacturing permanent markers for the textile industry. Symbolic to all the success that we have acquired in the market makes our status as a leading manufacturer, exporter and supplier of Instant Dry Marker. It is appreciated by clients for its features like attractive design, consistent ink flow, smooth writing, stylish look, fine grip and light weight. 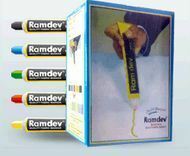 This Instant Dry Marker is designed & manufactured with utmost care and perfection in conformation with set industry norms. The offered pen is broadly used to mark on various products for identification and is available at economical prices. 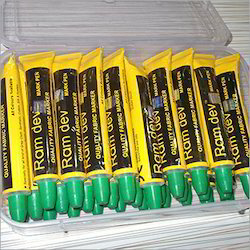 With sincerity and hard work of our professionals, we have marked our presence as a trusted entity engaged in offering a distinct collection of Ramdev Marker Pens. 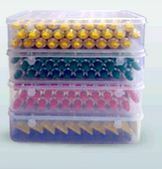 These pens are widely used for marking on discs, cardboard, glasses, plastic, wood, parcel and other allied products. Our offered pens are well known across the market, owing to their smooth & leakage free writing, strong grip and anti-scruffiness. 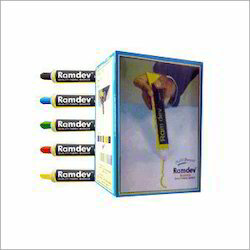 Offered Ramdev Marker Pens are properly tested on numerous parameters to make sure that these do not wipe off easily. 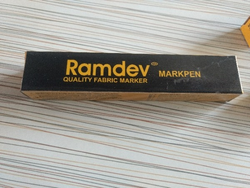 Ramdev Mark Pen has been developed for marking on Grey Cloth, Cotton, Silk, Rayon, Hosiery, Wooden, Synthetics OR Blended Fabrics products. 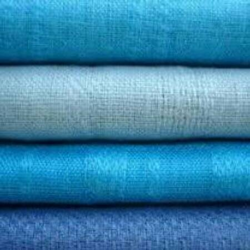 Our product usage in Textile Processors, Textile Mill Gin Stores & Accessories Suppliers, Textile Export-Import House, Hosiery Knitting & Processing Units, Spinning, Twisting & Weaving Units, Grey Merchant & Manufacturing Unit.